I wish I had done this ten years earlier. It takes a lot of things going right for a company to reach its full potential. Providing an exceptional customer service experience, getting buy-in from everyone in the organization, and marketing yourself well are just a few of those things. Rocky Mountain Diesel in Cranbrook, British Columbia, was doing all of these things. But despite all that, something was still missing. Profitability had started to slip a bit. According to Owner Chris Thom, they were “leaving money on the table.” There were things that he knew needed to be corrected, but he wasn’t sure how to go about getting that done. Thom knew that he needed to bring someone in to help guide him and his staff and he was clear in what he was looking for. “We needed someone we trusted, someone who could speak the language of the staff inside the shop, and someone who would bring real experience to draw from, rather than someone who would just recite from a textbook,” he said. Serving as one of Karmak’s Account Directors, Scooby Barbre’s expertise in service made him an ideal choice. “Scooby works on your level, engages you, and makes it fun. I’ve got a really young staff, and they responded well to his style,” Thom said. In addition, the company reduced their cost of operating per hour by about $5 per hour and they increased their effective labor rate by $28 per hour. Taken together over the course of a ten-hour day, that’s $330 worth of pure profit per tech, per day heading straight to their bottom line. 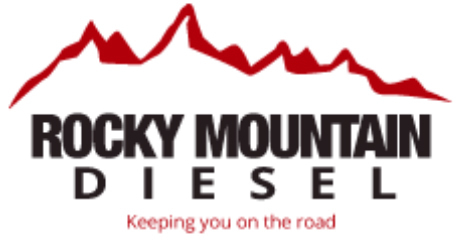 Within just a matter of weeks, Rocky Mountain Diesel had made the money back they invested in consulting. Thom admits that he has just one regret.